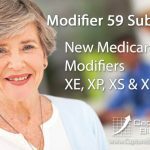 Medicare has eliminated consultation codes. Now you will have to bill using regular office visit codes and hospital admit codes. Medical practices stand to lose revenue. This episode of Medical Billing Tips explains the Medicare changes. 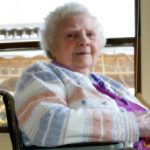 On January 1, 2010, Medicare eliminated consultation codes for both hospital and office visits. 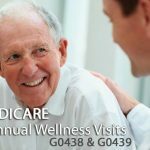 Try submitting a consult code for Medicare and you will not get paid. These patient encounters will now have to be treated as regular visits. 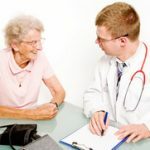 Previously, physicians received up to forty-one percent more for a consult, but now with the elimination of the consult codes, Medicare as a concession has increased reimbursements for regular visits by 6%. Medicare calls this move “budget neutral” with no real effect on the practices, but for specialty practices that see a lot of consults, this may not be the case. Practices could potentially be losing significant revenue. The codes that Medicare is eliminating are outpatient office codes, 99241 through 99245 (99241, 99242, 99243, 99244, 99245) and inpatient hospital codes, 99251 through 99255 (99251, 99252, 99253, 99254, 99255). As a result, there are now two changes you must make. 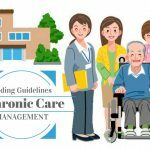 One, office consultation codes now need to be billed as regular office codes; and, two, consulting physicians for hospital inpatients will use the admin codes (99221, 99222, 99223) in lieu of old hospital consult codes. Naturally, using just one set of inpatient codes creates a problem. Who is the real admitting physician, and who is a consultant? Previously, the admitting physician billed 99221 through 99223, while the consulting physician billed 99251 through 99255 for their advice. This is no longer possible, since they will now be using the same codes. The main physician will be required to use a modifier to identify himself as the admitting physician. This change only affects Medicare. Continue to use consult codes for commercial payers. Keep in mind, though, that commercial payers tend to eventually follow Medicare. Also, be aware if Medicare is the secondary payer; if this is the case and you billed a consult to the primary carrier, Medicare will not pay. As you can see, healthcare reform is causing us to adjust the way we run our practices. This is just one of the many changes to come. My name is Manny Oliverez, and this has been the medical billing minute. Please help! If a doctor is called in for a consultation, and the patient is in observation (outpt) what is the code for Medicare and commerical. For commercial insurance the consult codes are still the same, 99251,99252,99253,99254,99255. Make sure the consultation is documented properly or it may not be billable. But for Medicare your provider should look at these inpatient codes, 99221,99222,99223,99231,99232,99233. Check out your CPT coding book for detailed info on the individual codes.